If you are willing to spend more money from your budgets on vacation, it means, you have a big chance to get more money from people who willing to do that. They will put their money on your pocket for the best travel experience they will get. 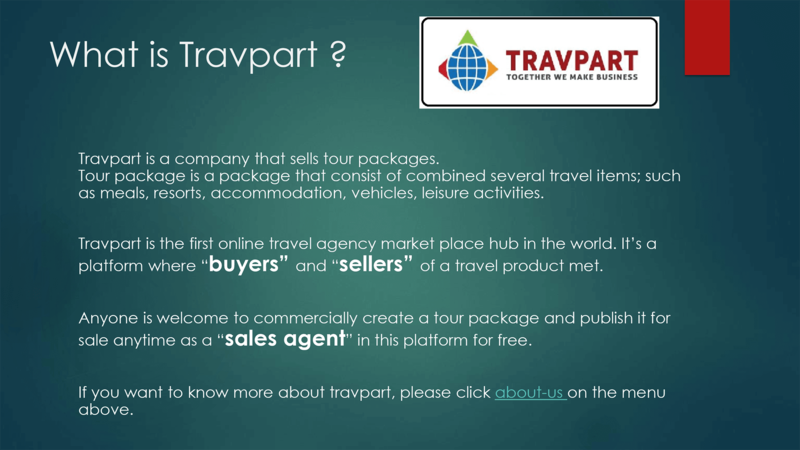 Travpart has the offer to make it happens for you. Travpart is a professional travel agency that sells Bali Indonesia tour packages. It’s a place where you can be a travel agent and selling their affordable packages to the client around the globe. Only by using all the material they have prepared for their agent. 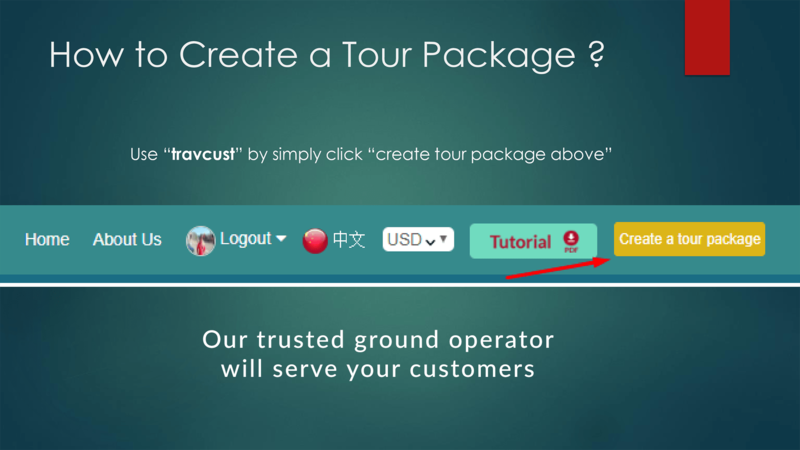 So you just need to do the promotion on Bali Indonesia tour packages from your computer or gadgets to your potential clients and get your cash after they make a payment. It is a work-at-home job. 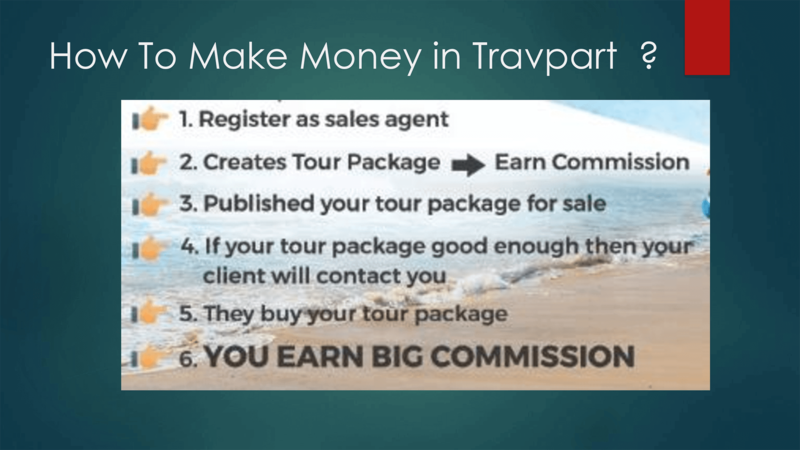 Travpart has it all to help you make your first $500 from home just by doing an easy selling Bali Indonesia tour packages. 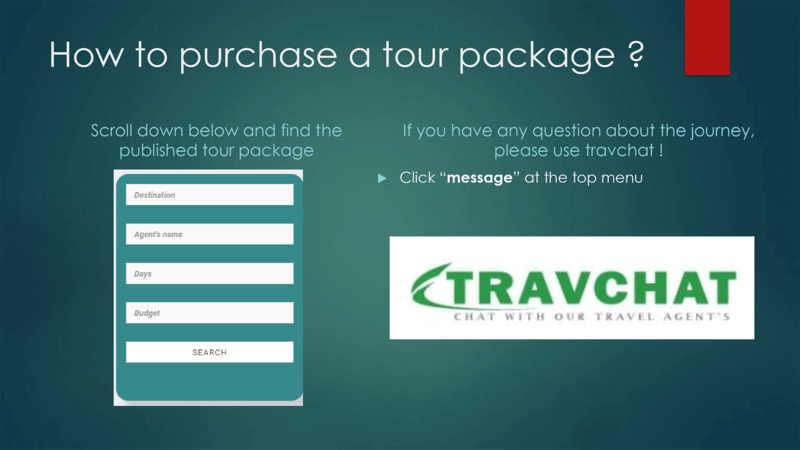 You need sign up as a partner from Travpart website to start selling Bali Indonesia tour package. 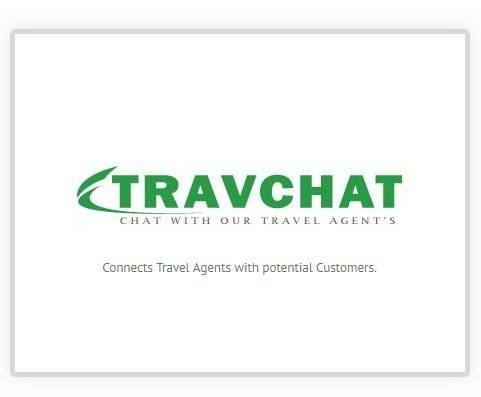 Access the website and click on Travchat to sign up. 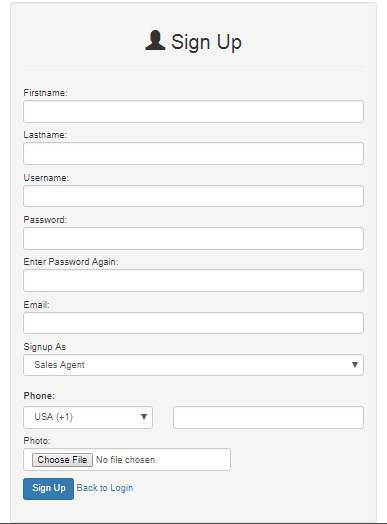 Fill the form and sign up as “Sales Agent” to open your chance of getting your $500 from selling Bali Indonesia tour packages. Check and confirm your registration in your email. And done. Next, you need to learn all the information about Bali Indonesia tour packages from the website. Find the best deal and promote it to your potential clients from your gadgets. The packages itself start from $200 – $900, there is even a chance for more. You can choose Bali Indonesia tour package with high value to earn high profit. 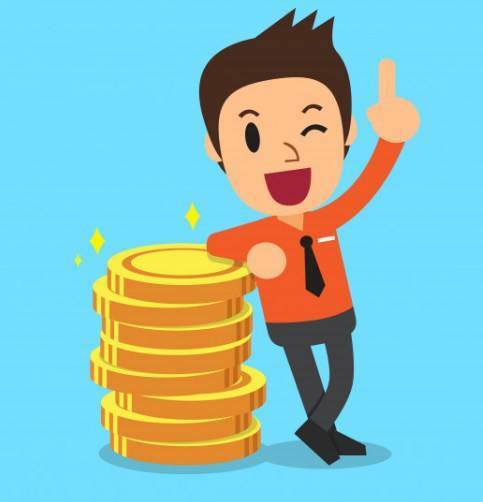 You will get a 4% profit from every package that you manage to sell. It’s a high profit. Now, this is how you will get your $500 less than a month. If you manage to sell Bali Indonesia packages for $900, then you will get $36. It’s only for one sale. So, you can imagine how if you are selling more than that number. Here is the fact. In July 2018, there are 1,5 million tourists from around the world coming to Bali Indonesia. So, if your promotion hit 1% of this number, it will be 15.000 people will read your add. 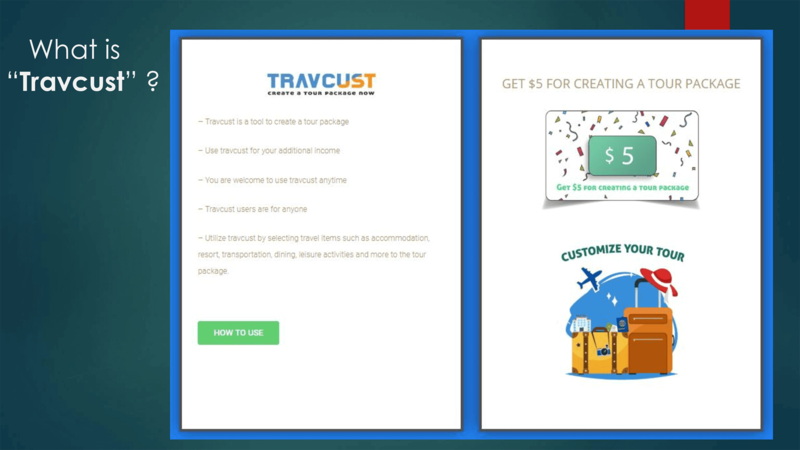 The best part is this; if only 0,1% of the 15.000 people (it means 15 people) manage to purchase the package that you offer, then you will get $540 cash right in your pocket. Selling Bali Indonesia tour packages and earn $500; This is a fantastic offer on easy selling job. Now, If you don’t want to miss this chance and overtake by the other agent, just click the picture below.